"Our specialty is our staff and study material. Our lecturers are Masters in Law and are also UGC NET Law qualified. 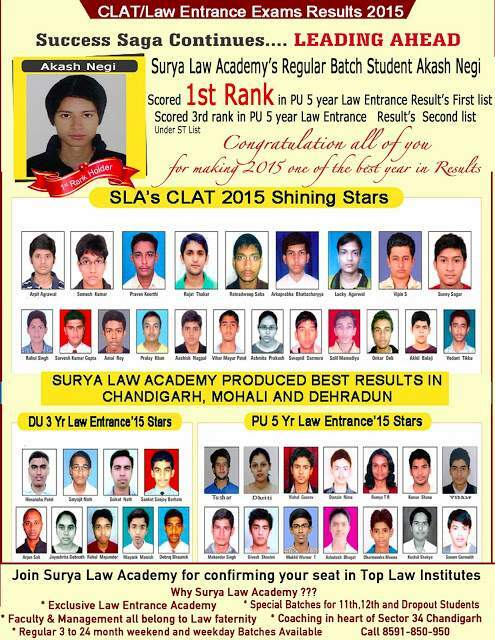 They have cracked various Law Entrance Exams including CLAT, PU, DU law entrances. 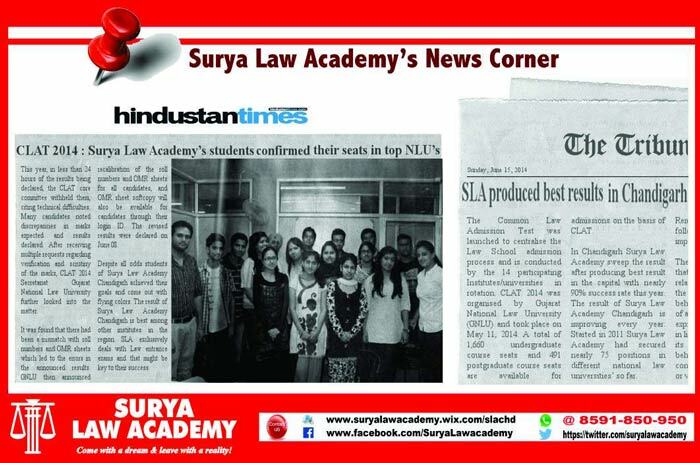 They are now sharing their experience and expertise at Surya Law Academy. Our Study material is the result of years of legal experience." 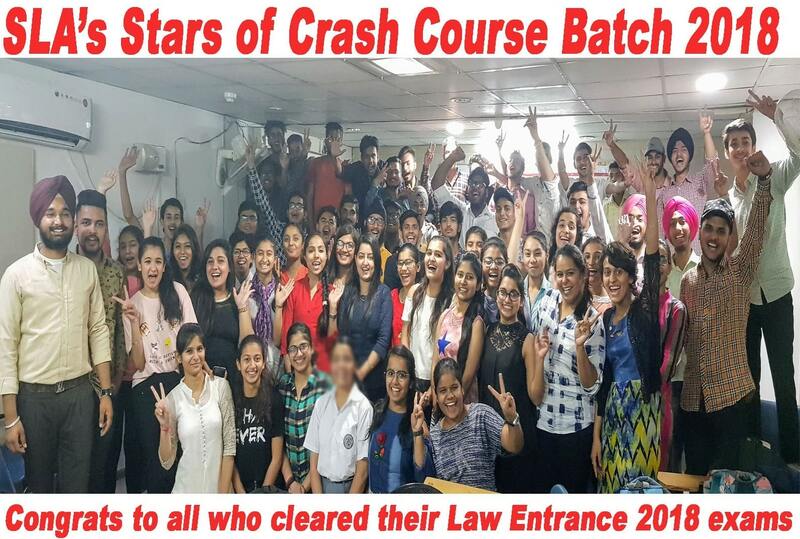 Our Aim is to make law entrance examinations a cakewalk for the law aspirants who are seen running from pillar to post in search of good guidance. Enroll Now, Start Preparing and beat tough competition. 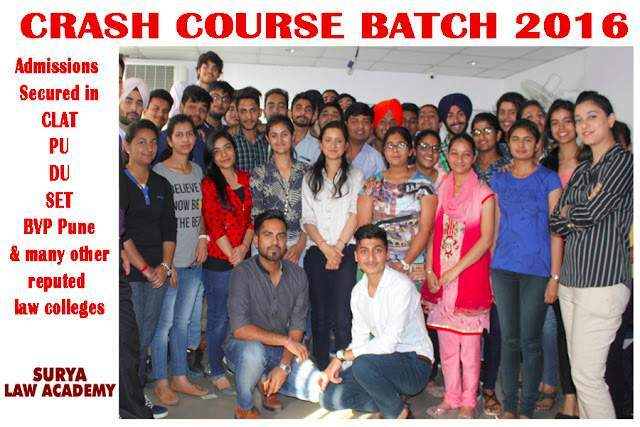 Batches for dropout & +1, +2 students for CLAT/PU/DU (5 & 3 year law) weekend also available. I thank the entire team of SLA whom proved to the correct choice for my daughter without their guidance cracking this tough exam would have been impossible. 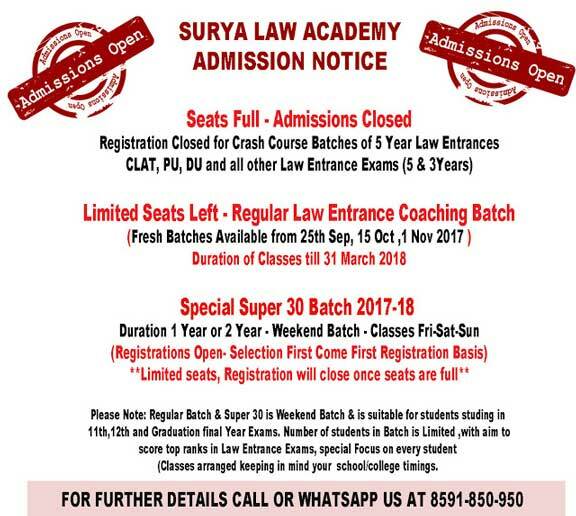 The course offered by Surya Law Academy opened new horizons for me and provided in depth knowledge about the law entrance test. Timely availability of the study material and standard of the mock tests are excellent. Also, the kind and quick reply to all the queries was very helpful. Thank you. 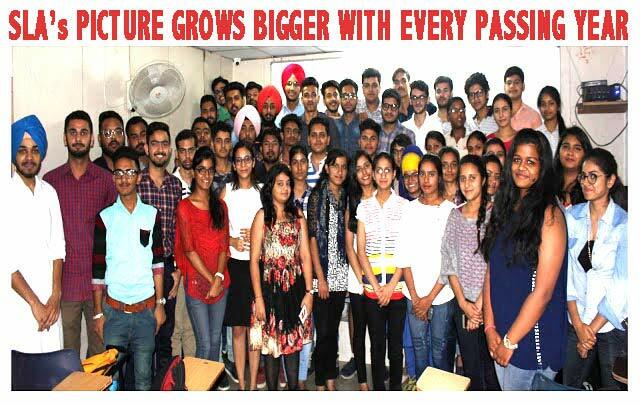 The study at SLA helps a student to get interaction with bright students from different schools as well as quality faculty members. It boosts a student to shape his goals and to thrive towards it. Q. What make SLA Classes different? A. Full day classes of Law Entrance Exam Only. No limitation of hours. Whereas other institues have few hours of Law Classes and generally combine students of other banking/IAS batches which reduce quality of education. Q. What do you mean by Law entrance exam experience? A. As all faculties have law background hence have cleared all entrance exam at different levels. 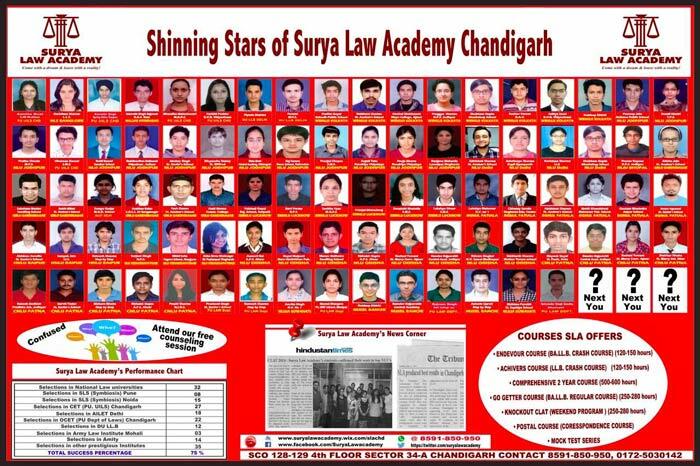 We are well versed with the concept, pattern and syllabus of all law entrance.But other institutes have no legal background, no knowledge about law entrance exam. Q. What are Mock Tests and why are they important? A. Mock test are exact exam pattern practice tests. 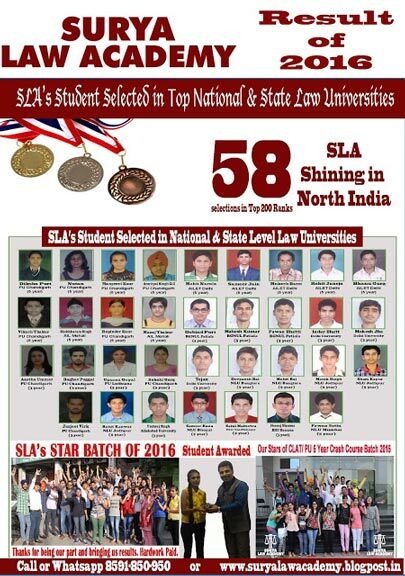 SLA had all law entrance mock test (CLAT,AILET,SET,CET,ALI, AND ALL OTHERS Law tests) and student can practice more and more and can become perfect before facing original test. We have online CLAT,AILET test available. 1. Question- What is the best time to start preparing for Law Entrance Exam? Answer - Most of students ask us this question be it student of 11th class, 12th class, Final year graduation or even dropout. Our suggestion is best time to start preparing for law entrance exam is as soon as you can because statistics says 90% students start their preparation after completing their courses eg. +2, graduation etc. 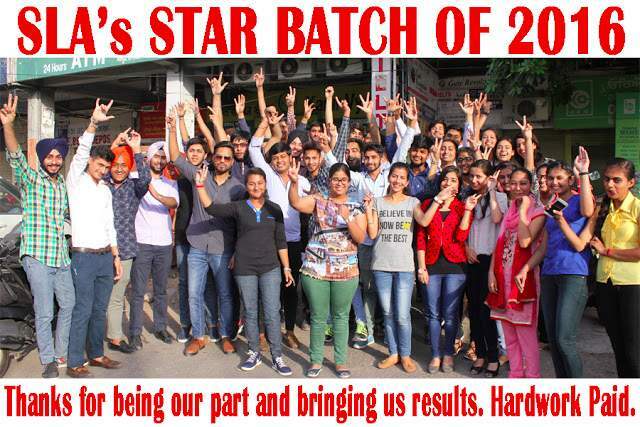 but only 10% out this 90% succeed in these entrance exam due to lack of time and preparations but on the other hand only 10% start preparing at least 6 to 12 months before the entrance exam and 90 % successful candidates come out of this lot because of their hard work, time management. Finally its your choice which side you really want to be. 2. Question- Do I have a chance to grab a seat in NLU? Don’t you think its tough competition? If you are really serious to crack this law entrance exam you need to buckle up today. Don’t delay start preparing today. 3. Question- How will I manage School/College study with Law Entrance coaching? Answer - At SLA we understand school/college classes are equally important. Hence we provide law aspirants tools with easy and proper guidance. Smart Regular classroom program with legal assistance and management is required to help you ace the test. We provide you a platform where you can choose days according to your suitability and availability. We are very flexible with the timings. We make sure to cut short on classes during your exams as we don't want your boards grades/final year marks to get affected. 4. 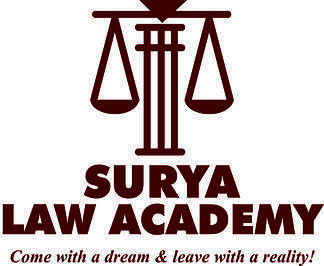 Question- Why should I join Surya Law Academy and not any other institute? Answer - It is completely your wish, your desire, and your will to join or not to join us. But before you make any decision please ask next 3 questions to yourself. a) Whether this academy had some specialisation with law entrance coaching specifically or they are dealing with coaching of all exams in bulk. b) Whether the academy I am thinking to join for my law entrance coaching had any legal background. c) Whether I can afford to waste my money and one year by joining wrong coaching institute this time. 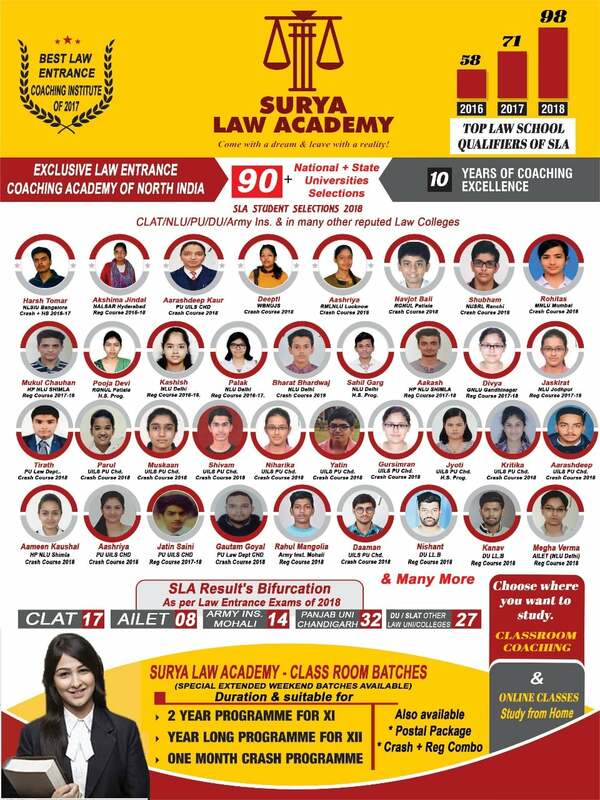 THE COMMON LAW ADMISSION TEST (CLAT)- CLAT is an all-India entrance examination conducted by 19 National Law Universities for admissions to their undergraduate and postgraduate degree programmes (LLB & LLM).. The cost of the centralized application form is nearly Rs 4000. 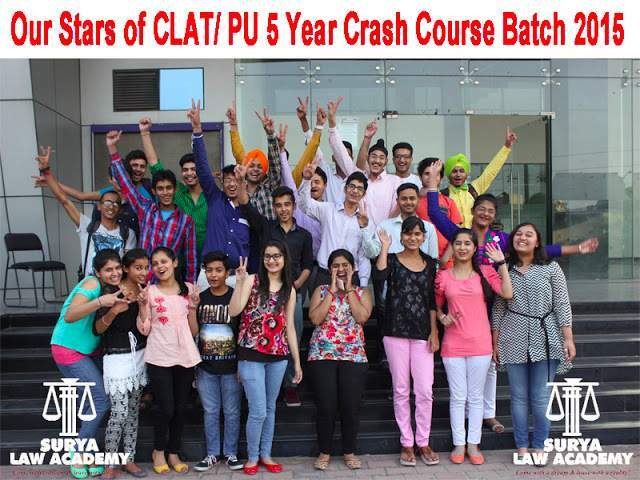 SYMBIOSIS LAW ENTRANCE TEST (SLAT)- Symbiosis Law School conducts SLAT every year for admission in to its bachelor courses in law, BA LLB & BBA LLB. Candidates must register online for SET and pay the fee of Rs. 1,000. UNIVERSITY OF DELHI LAW ENTRANCE EXAM- Delhi University is on of the top universities in India. 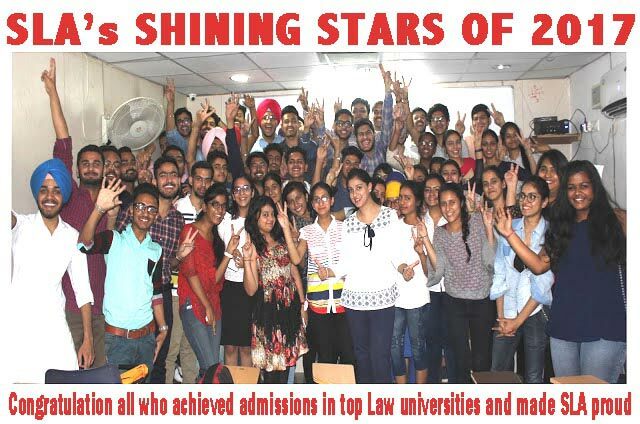 The Faculty of Law conducts an all-India Entrance Test for admission to the LLB (three years) and LLM courses. Candidates can fill the form online or can obtain the form from the University counter for Rs. 700. So, the profession looks attractive enough, but what kind of person would make a great lawyer. Good communication skills are a given – both oral and written.you will need to do a fair bit of research to be A lawyer must also be fond of reading because effective at your job. However, the most important skill that you need to have is logical reasoning. You need to be able to be able to look at matters objectively and come to your own conclusions. If you are smart, presentable and not scared to voice your opinion, law is definitely a career you should consider! 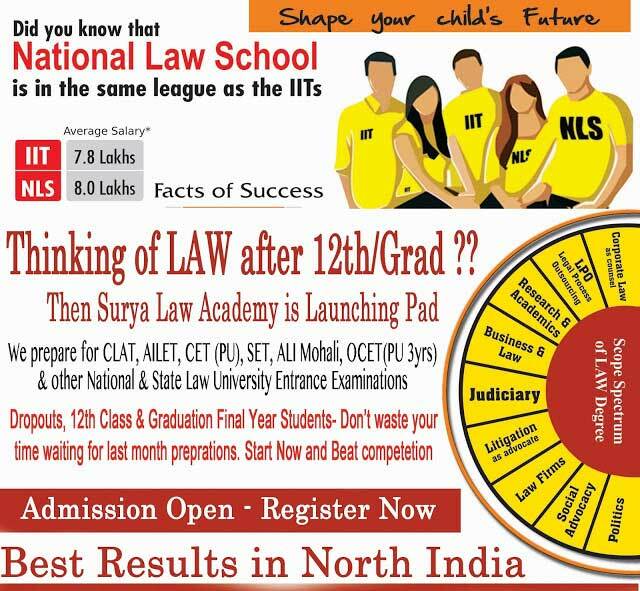 SLA will be conducting a NATIONAL MOCK TEST for the law Aspirants after the Board exams. Test will be to check the legal I Q of the law aspiring students.Eligibility is 12th pass. Nominal Fee of Rs 100 will be charged at the Exam centre which will be at Chandigarh only. The exact date, venue and test pattern will be annouced in the first week of January every year. Interested students may register with us. 1st: Android Tab + 100% scholorship in the Endevour course. 2nd: 50% scholorship in the Endevour course plus cash prize of Rs. 2000. 3rd: 25 % scholorship in the Endevour course plus a cash prize of Rs.1500.